Seeds or plays on table; you may download The Art of Diplomacy. 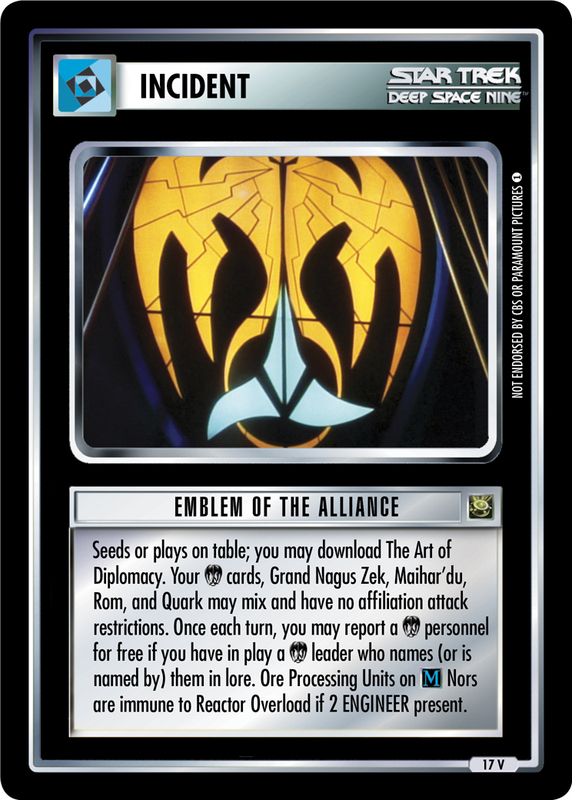 Your cards, Grand Nagus Zek, Maihar'du, Rom, and Quark may mix and have no affiliation attack restrictions. Once each turn, you may report a personnel for free if you have in play a leader who names (or is named by) them in lore. Ore Processing Units on Nors are immune to Reactor Overload if 2 ENGINEER present.